Learners guide the conversation by choosing which topics to dicuss. Interactivity: We created a branching activity where the learner could select his/her own path through the content. The animated character delivers a conversational style lecture, asks questions, and makes jokes. Learners are presented with scenarios and need to act accordingly. 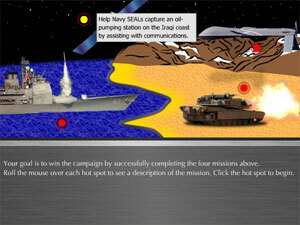 Interactivity: We designed a game for the SATCOM learner to complete four different missions. 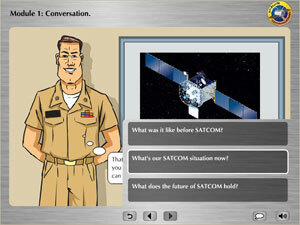 When a mission was selected, a series of scenarios appeared where the learner must select the correct SATCOM equipment in order to achieve mission success. I’m testing the application. I subscribed to RSS feed today. Pressures on to keep posting! I added a new post today, on wikis in higher Ed. 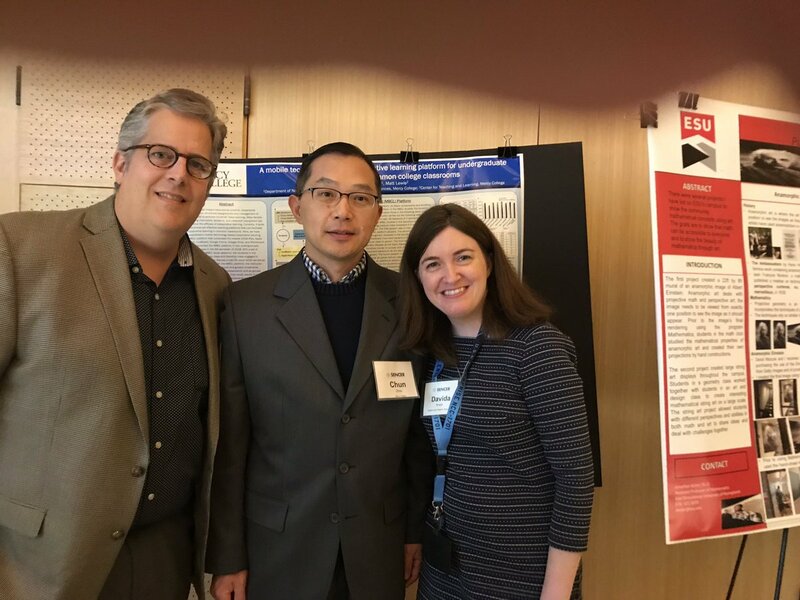 It was a presentation I made at the Tri-IT conference March 25.